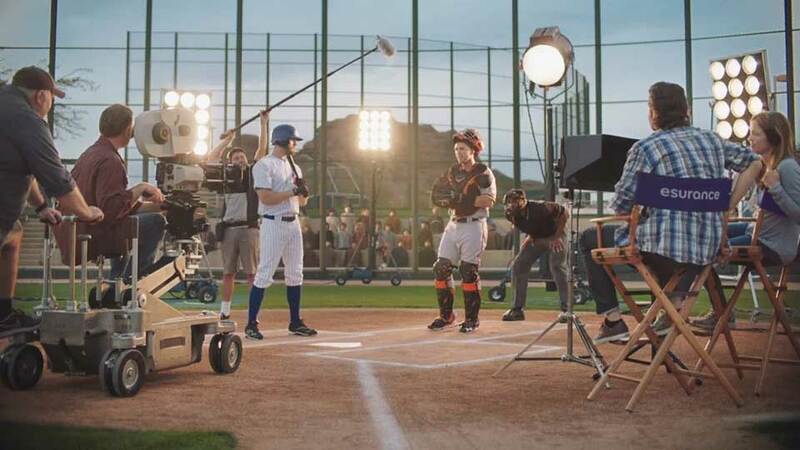 SAN FRANCISCO — April 5, 2017 — Today, Esurance debuted a new television commercial and social media campaign featuring Buster Posey, three-time World Series champion, four-time All-Star catcher, and Esurance brand ambassador. Posey takes the commercial into his own hands and steps in to give motivational pep talks in the social video series. Watch the first videos here: https://www.youtube.com/user/Esurance. 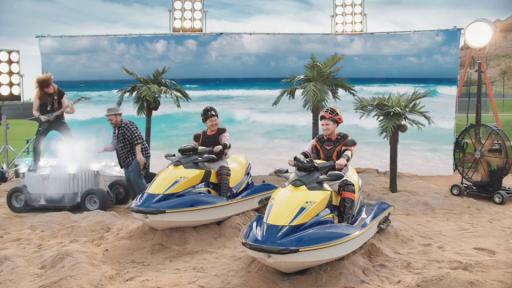 In the commercial “Buster’s in Control,” Posey takes control of the scene to make it just the way he wants it, creatively illustrating how consumers can get insurance that’s right for them and feel confident they’re making the right call with Esurance. 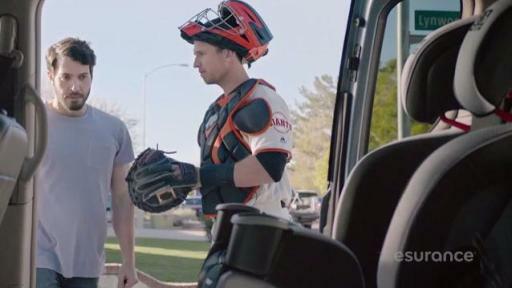 Esurance introduces “Pep Talks with Buster” video series. 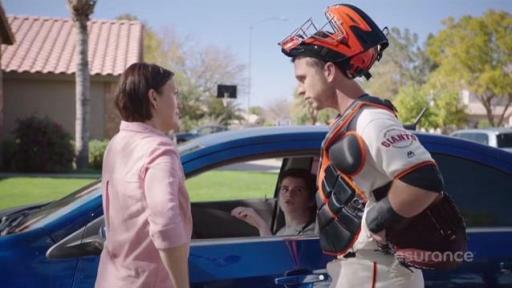 “Pep Talks with Buster” is a series of social videos featuring Posey giving pep talks to people having self-doubt in everyday situations, like changing a tire for the first time or installing a car seat. Buster perfectly delivers these “meeting on the mound” talks as a metaphor to the confidence boost customers feel with Esurance. From choosing coverage that fits, to settling claims quickly and efficiently, to feeling confident they’re properly protecting their cars, everyone can use a little pep talk sometimes. In its third season as the exclusive auto insurance provider of Major League Baseball (MLB), Esurance will continue as the title sponsor of the all-digital Esurance MLB All-Star Game Ballot and the Esurance MLB Awards. The company will announce specific activations associated with the programs later in the season. The new Esurance MLB commercial will begin airing April 10 on sports cable networks and the “Pep Talks with Buster” series will be released on Esurance social media channels starting in May and throughout the 2017 season. To view the new Esurance MLB commercial and first social videos, visit the Esurance YouTube channel or Facebook page. And to learn more about the Esurance MLB sponsorship, visit www.esurance.com/MLB. 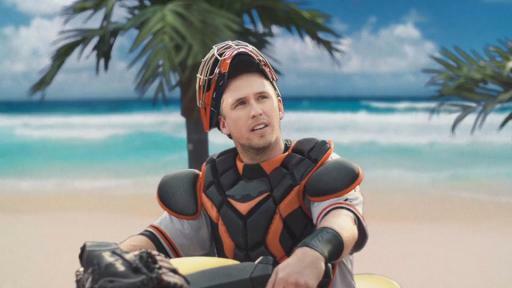 Buster Posey is represented by CAA Sports. Esurance, insurance for the modern world®, provides auto, homeowners, motorcycle, and renters insurance direct to consumers online and over the phone. With an easy-to-use mobile app, helpful online tools like photo claims and Coverage Counselor®, and knowledgeable experts, Esurance is the smart choice for today’s web-savvy consumer. And as a member of the Allstate family, Esurance offers auto and home insurance with just a click, call, or tap away. For more information, visit esurance.com or call 1-800-ESURANCE (1-800-378-7262). Follow Esurance on the Esurance Blog, Facebook, Twitter, and YouTube. Major League Baseball (MLB) is the most historic professional sports league in the United States and consists of 30 member clubs in the U.S. and Canada, representing the highest level of professional baseball. Major League Baseball is the best-attended sport in North America, and the last decade includes all 10 of the best-attended individual seasons by fans in MLB history, with each regular season eclipsing the 73 million mark. Led by Commissioner Robert D. Manfred, Jr., MLB currently features record levels of labor peace, competitive balance and industry revenues, as well as the most comprehensive drug-testing program in American professional sports. MLB remains committed to making an impact in the communities of the U.S., Canada, and throughout the world, perpetuating the sport’s larger role in society and permeating every facet of baseball’s business, marketing and community relations endeavors. With the continued success of MLB Advanced Media and MLB Network, MLB continues to find innovative ways for its fans to enjoy America’s National Pastime and a truly global game. For more information on Major League Baseball, visit www.MLB.com.